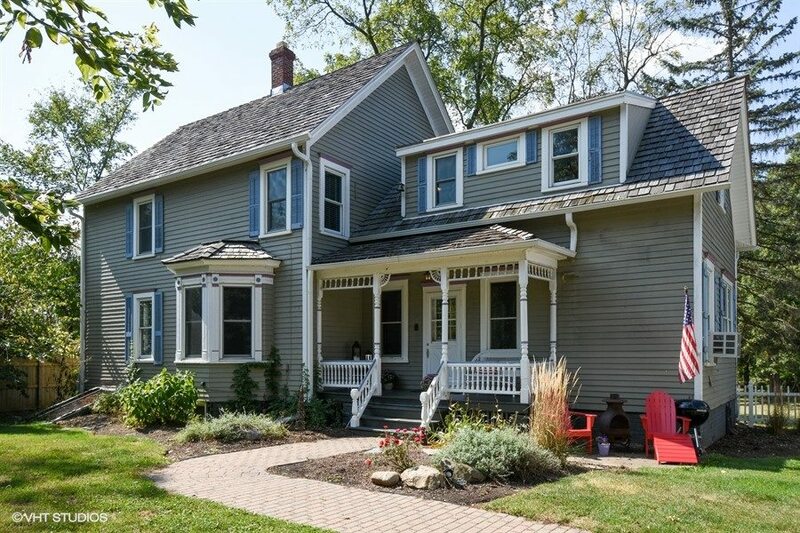 This charming 2,131 square feet, 100+ year old Long Grove Victorian Farmhouse is located on a beautifully wooded lot in the Stevenson High School District. Gorgeous custom architecture, open and bright with 9 foot ceilings, gleaming hardwood floors, crown molding and solid wood doors. Home has been meticulously maintained and updated by the owners, including; new electrical in 2007, new windows in 2009, new hot water heater in 2008, basement sealed in 2014, new roof 2014, new gutters, soffit and fascia in 2012, new driveway in 2011 and freshly painted exterior. Unique features include a spacious finished attic / playroom and a 3 car garage with a loft studio / storage area. The front and back porch are great for relaxing and entertaining. Close to shopping and transportation. Award winning District 96 for Elementary and Middle School and Adlai Stevenson High School. Note the relatively low taxes!! 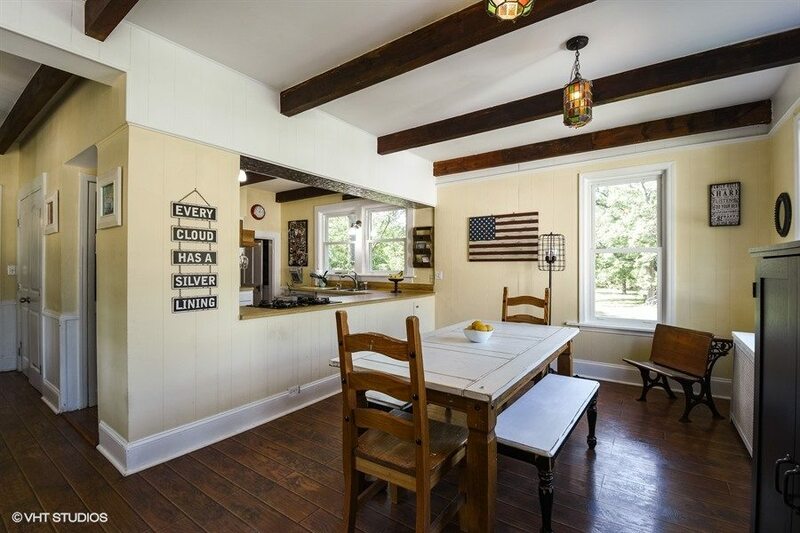 Large, sun-filled eating area that opens to the kitchen, 9 foot ceilings with wood beams. 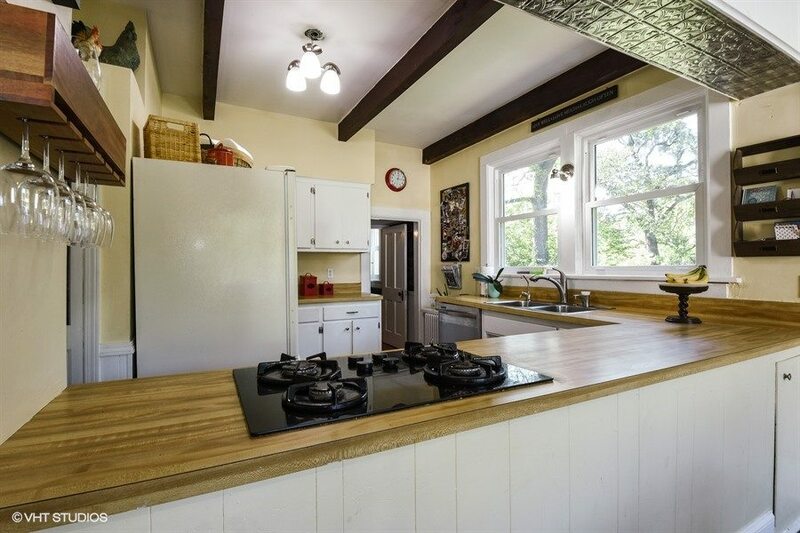 Classic bright farmhouse kitchen with large opening to the eating area, 9 foot ceilings with wood beams. 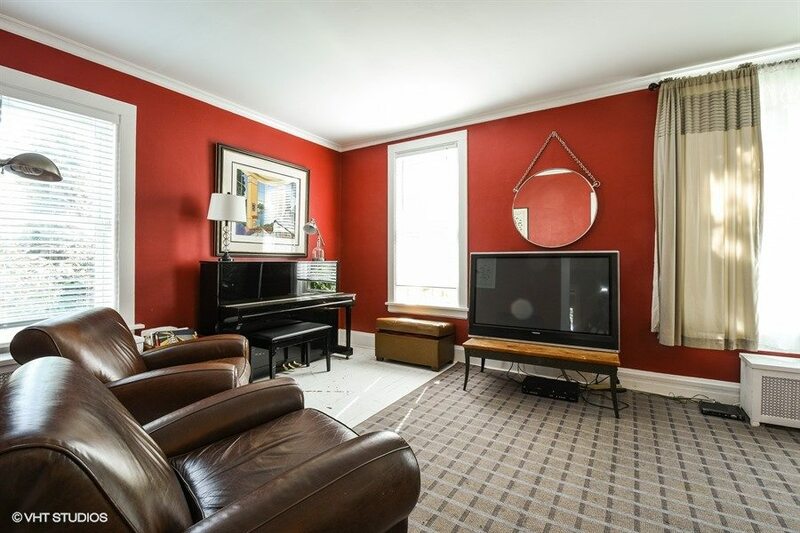 This cozy living room will be a great gathering place for the family with 9 foot ceilings and gleaming hardwood floors. 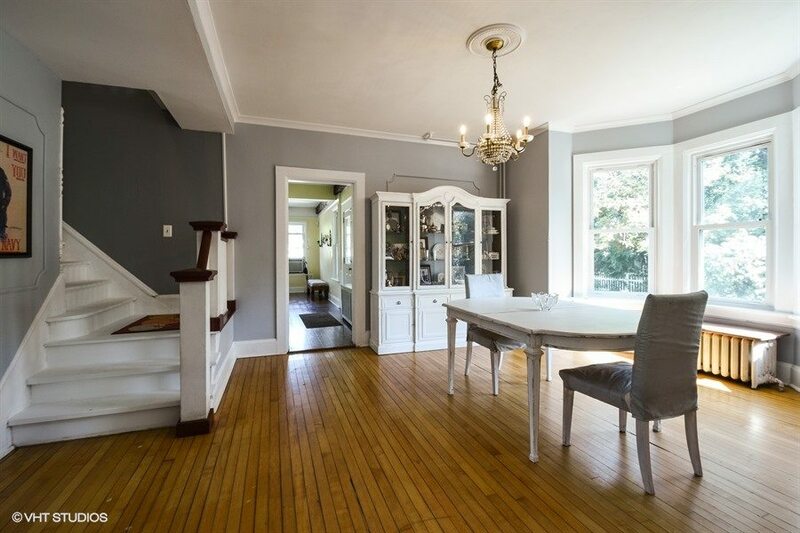 Plenty of direct sunlight from the large picture window and French doors that lead to your dining room. Large and versatile dining room is perfect for entertaining. Located right off the kitchen for convenience. 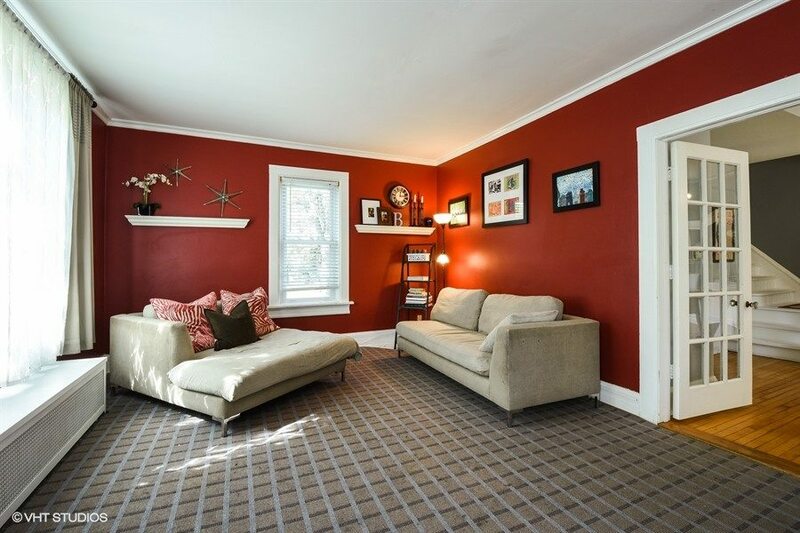 9 foot ceiling, hardwood floor, crown molding and an impressive bay window. 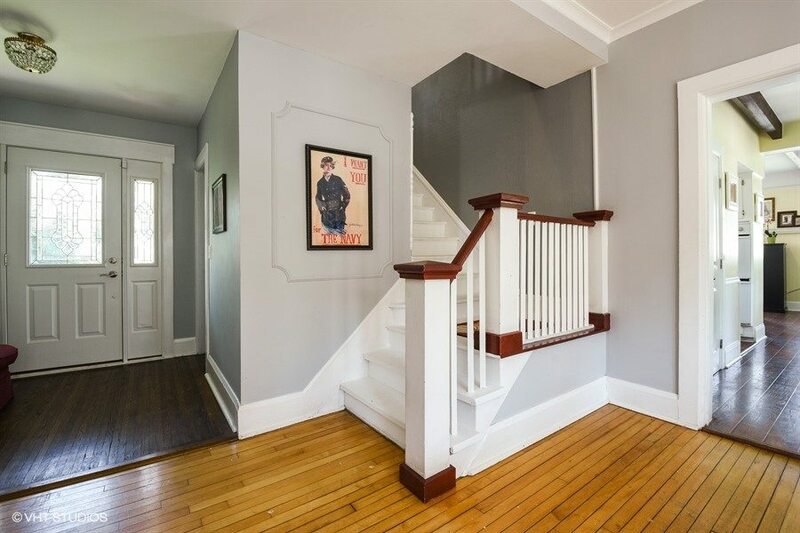 This back foyer has hardwood floors and is adjacent to the dining room, kitchen and charming wood staircase to the upstairs bedrooms. 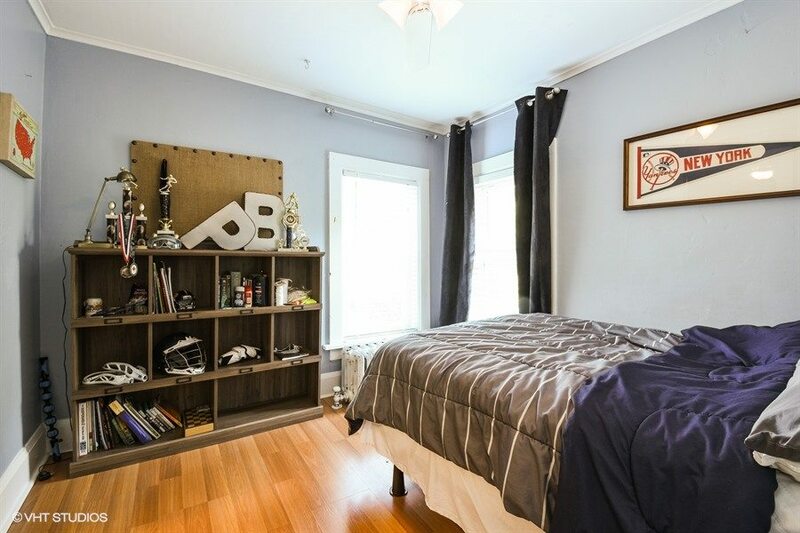 Roomy master with gleaming hardwood floors, double closet and a good sized alcove for a sitting area or desk. 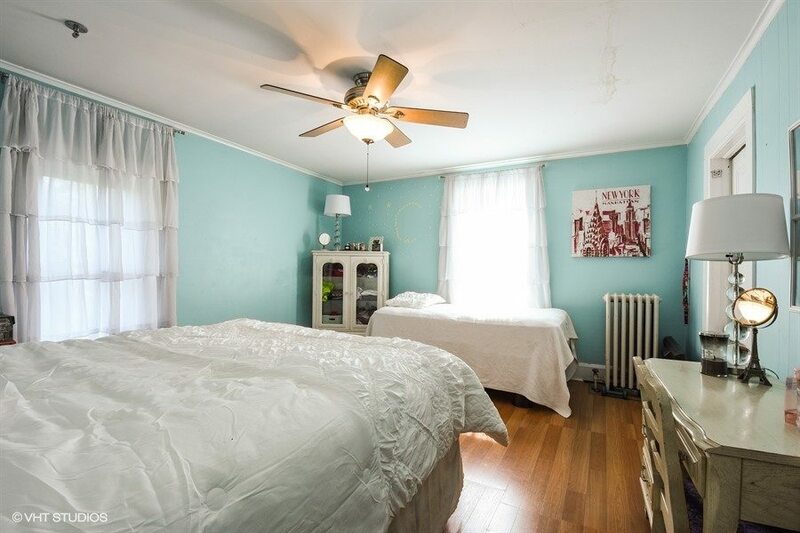 2nd bedroom offers hardwood floors, a ceiling fan and crown molding. 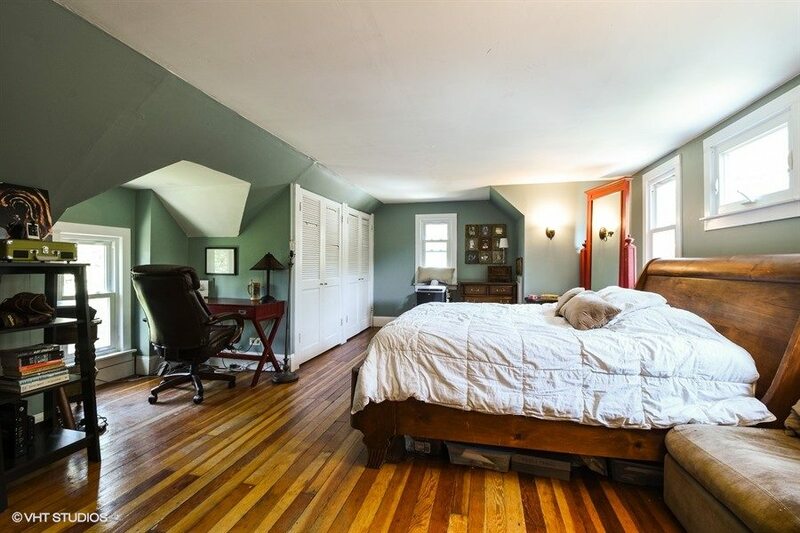 Very roomy bedroom with a ceiling fan, crown molding and hardwood floors. 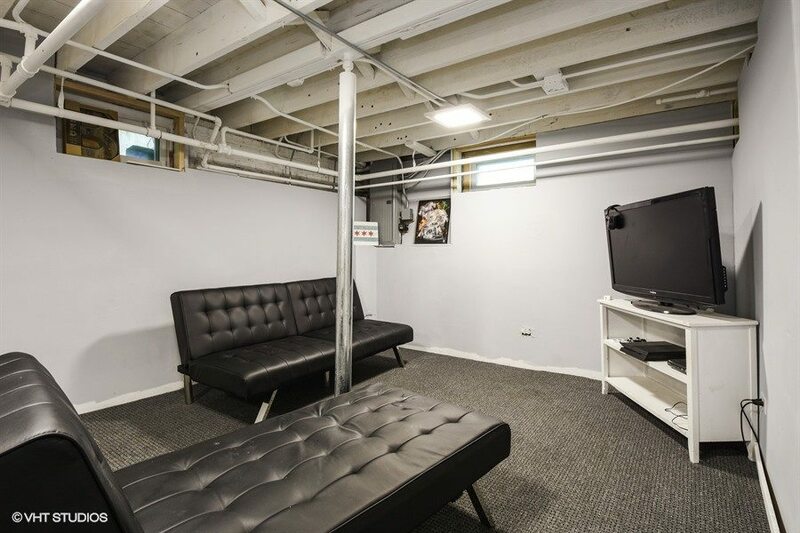 Located in the basement, this rec room provides a great space for the kids to play and watch TV or for a “Man Cave.” This room is carpeted and has exterior access. 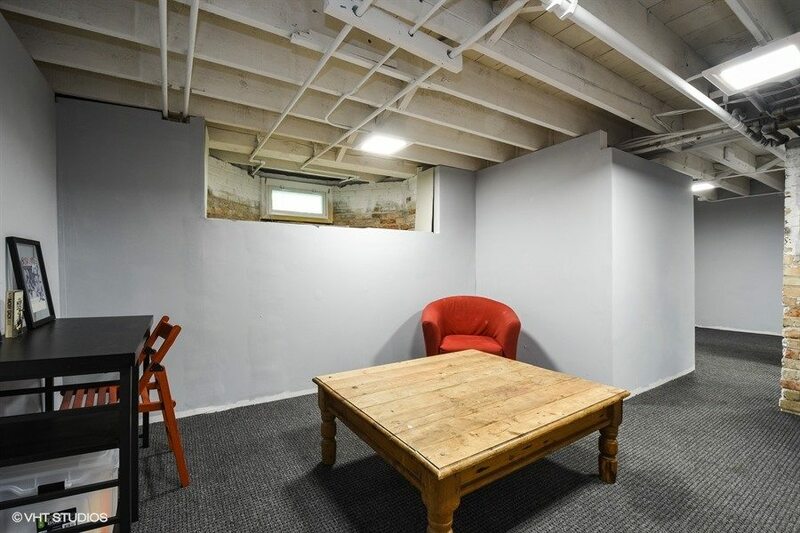 Also located in the basement adjacent to the laundry area, this is a good spot for a desk or a place to relax. 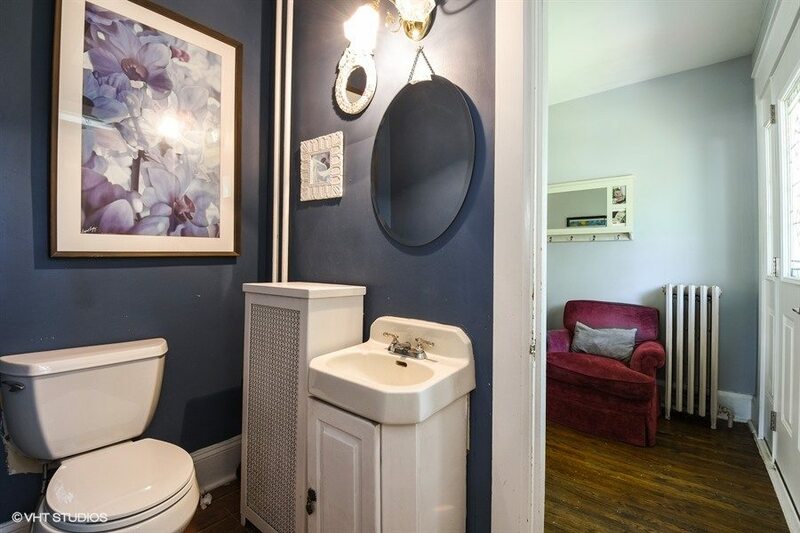 The powder room is conveniently located off the kitchen and dining room. 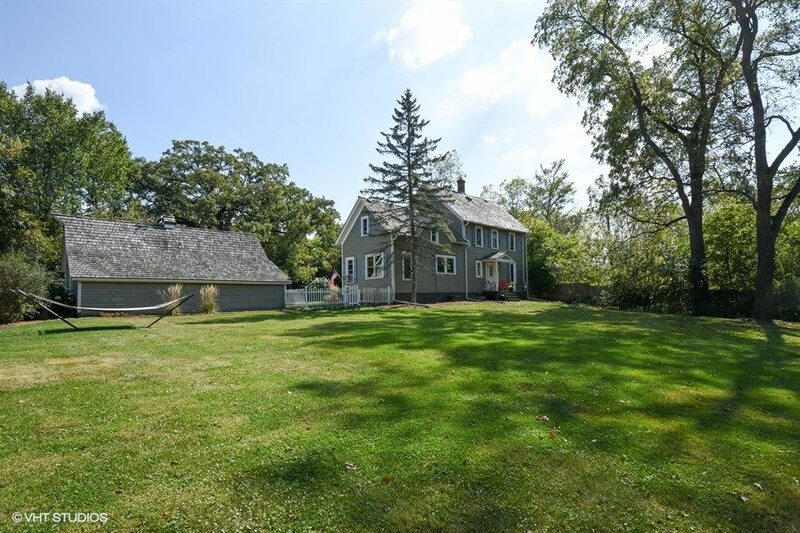 0.9 acres of tree-lined yard with countless outside activities available. 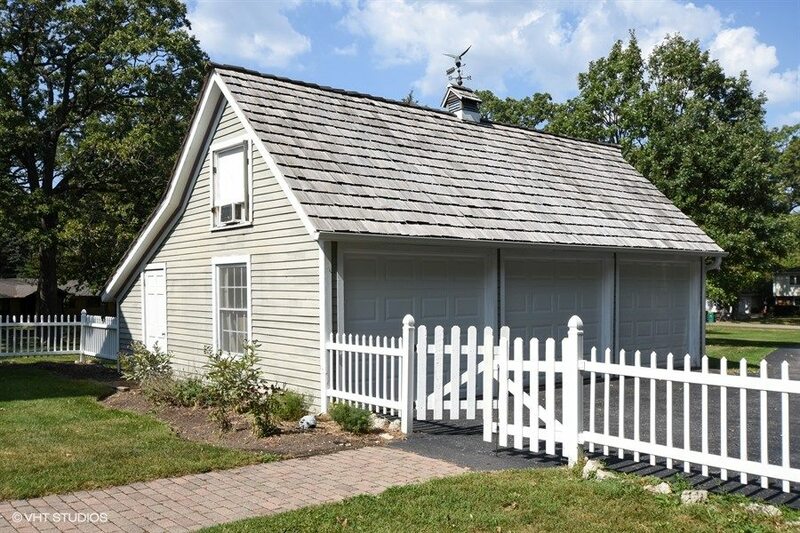 This detached 3 car garage has an attic space for storage.